O’Malley, Surman & Michelini is a general practice law firm that has served individuals and businesses in Ocean and Monmouth Counties for almost 40 years. We have managed to weather the ebbs and flows of the legal profession for decades, and our commitment to our clients has never wavered. Our five staff attorneys comprise members of the American, New Jersey, and Ocean County Bar Associations, and are admitted to practice in New Jersey, Pennsylvania, U.S. District Court, New Jersey and Eastern Pennsylvania, and the U.S. Supreme Court. We take pride in building and preserving our relationships and have represented many of our clients in various legal matters over the course of their lifetimes. At O’Malley, Surman & Michelini, we are here to stay. 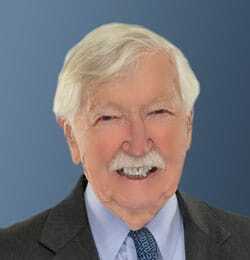 The Jersey Shore—as well as the legal profession—is in Edwin J. O’Malley’s heart and soul. A New Jersey native, Edwin has been an attorney since 1963. He holds a BA degree from Tufts University in Medford, MA, and a JD degree from Fordham University Law School, New York, NY. Edwin is a member of the American, New Jersey, and Ocean County Bar Associations, the New Jersey Institute of Municipal Attorneys, American Association for Justice, and Community Association Institute. He is proud to have served as Municipal Attorney for the Borough of Mantoloking for 46 years. Edwin has had a long and prosperous career in the legal profession. He has held a preeminent AV peer rating from Martindale-Hubbell for almost 40 years. 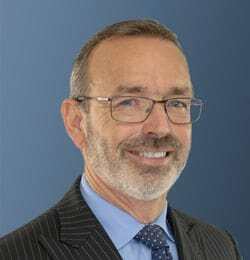 His areas of practice include real estate law, commercial law, and corporate law, and he has handled matters of probate, chancery and equity, municipal justice, condominium governance, litigation, and continuing care retirement arrangements. Email Edwin J. O’Malley, Jr.
Born and raised in Newark, NJ, Gregory A. Surman is a graduate of Seton Hall University, Rutgers University Law School, and New York University Law School, where he earned a Masters of Law in Taxation degree. He has been an attorney since 1973. Greg is a member of the American, New Jersey State, and Ocean County Bar Associations and the National Academy of Elder Law Attorneys. A cofounder of O’Malley, Surman & Michelini, Greg has practiced law in Ocean County since 1976. He specializes in estate planning, trust and estate administration, taxation, probate, and elder law issues. Greg and his wife, Donna, live in Toms River. They enjoy spending time with their four adult children and their families, traveling, and attending the theater. Joseph Michelini is a graduate of King’s College and Temple University Law School. He has been an attorney since 1984 and has been with O’Malley, Surman & Michelini since 1985. Joe is admitted to practice in New Jersey and Pennsylvania, including the U.S. District Courts for New Jersey and the Eastern District of Pennsylvania, as well as at the U.S. Supreme Court. 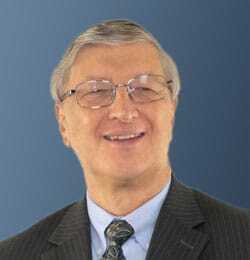 He is a member of the American, New Jersey State, and Ocean County Bar Associations, and the Christian Legal Society. Joe’s areas of practice include real estate, zoning, litigation, estate planning, and municipal court. A lifelong Toms River, Ocean County resident, Joe is an outdoor enthusiast. He enjoys biking, running, swimming and has participated in several marathons and triathlons. Joe, his wife, and their 4 adult children are a tightknit family that enjoy exploring and travel. Born and raised in Toms River, NJ, Jill L. Thiemann returned home after law school, clerked, and has practiced in Ocean County her entire career. 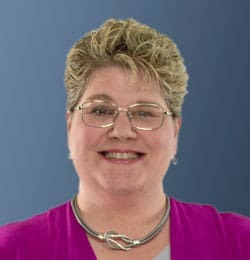 She holds a BS degree from Clarkson University in Potsdam, NY, and a JD degree from Widener University Law School in Harrisburg, PA. She has been an attorney since 1994 and has been with O’Malley, Surman & Michelini since 1999. Jill is admitted to practice in New Jersey and Pennsylvania, including the U.S. District Court, New Jersey and the U.S. Supreme Court. From 2012 through 2014, she served as chair of the Ocean County Bar Association Family Law Committee, and is a long-standing member of the Scholarship Committee. She served for more than 20 years as a volunteer Early Settlement Panelist in the Superior Court of New Jersey, Ocean County. Jill’s areas of practice include family law, residential real estate, landlord/tenant disputes, and general litigation. Jill is active in the Clarkson University Alumni Association, and served as president for two years between 2012 and 2014. She is also a member of the Board of Directors of CONTACT of Ocean and Monmouth Counties, a non-profit charitable organization that operates a 24-hour crisis call center. A lifelong resident of Ocean County, Jill enjoys a good book on the beach, broadway shows, and travel. Susan E. DiMaria holds a BA degree from City College of New York in New York, NY, and a JD degree from Brooklyn Law School, Brooklyn, NY. She has been an attorney since 1987. Susan is admitted to practice in the State of New Jersey and the U.S. District Court for the District of New Jersey. She was a Clinical Assistant Professor of Law (1997-1998) and Supervising Attorney of the Disability Law Clinic at Seton Hall Law School. She is a member of the American, New Jersey State, and Ocean County Bar Associations. Susan’s areas of practice include general litigation, disability law, real estate, zoning, land use, and consumer law. 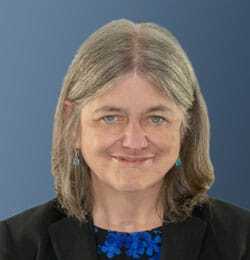 She has argued successfully against exclusionary zoning ordinances directed at group residential facilities and given numerous presentations on fair housing. O'Malley, Surman & Michelini. All rights reserved. Site Developed by Kingfisher Communications.